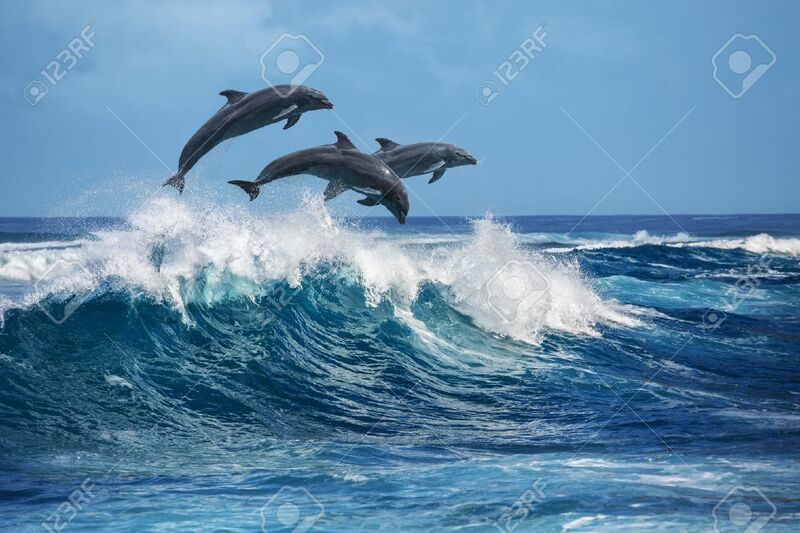 Three Beautiful Dolphins Jumping Over Breaking Waves. Hawaii Pacific Ocean Wildlife Scenery. Marine Animals In Natural Habitat. Фотография, картинки, изображения и сток-фотография без роялти. Image 60890534. Фото со стока - Three beautiful dolphins jumping over breaking waves. Hawaii Pacific Ocean wildlife scenery. Marine animals in natural habitat.